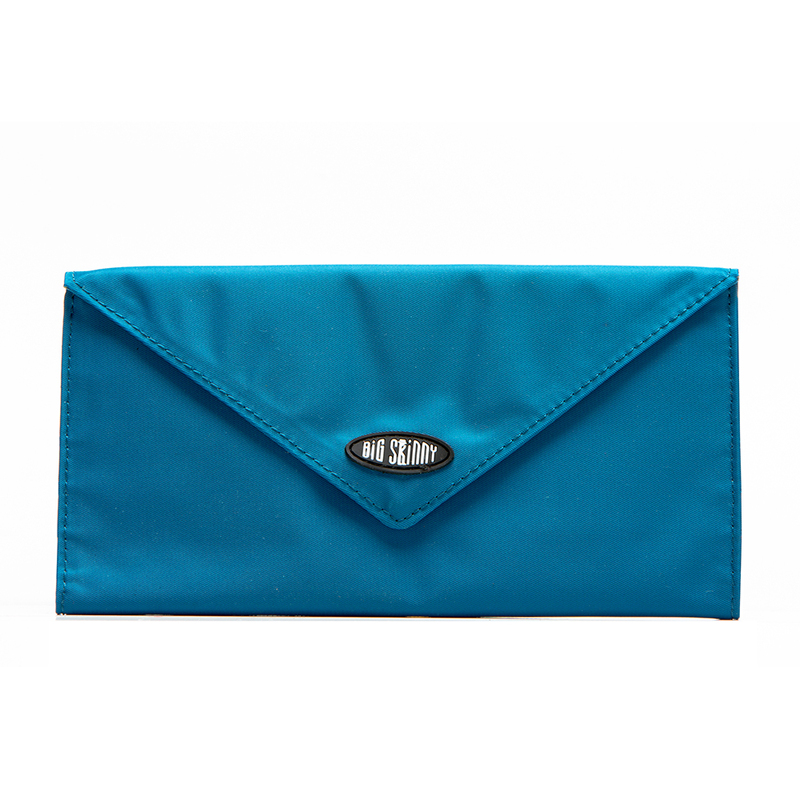 Our sleek clutch-like billfold wallet is a modified version of the classic women's long wallet - but more clever of course! 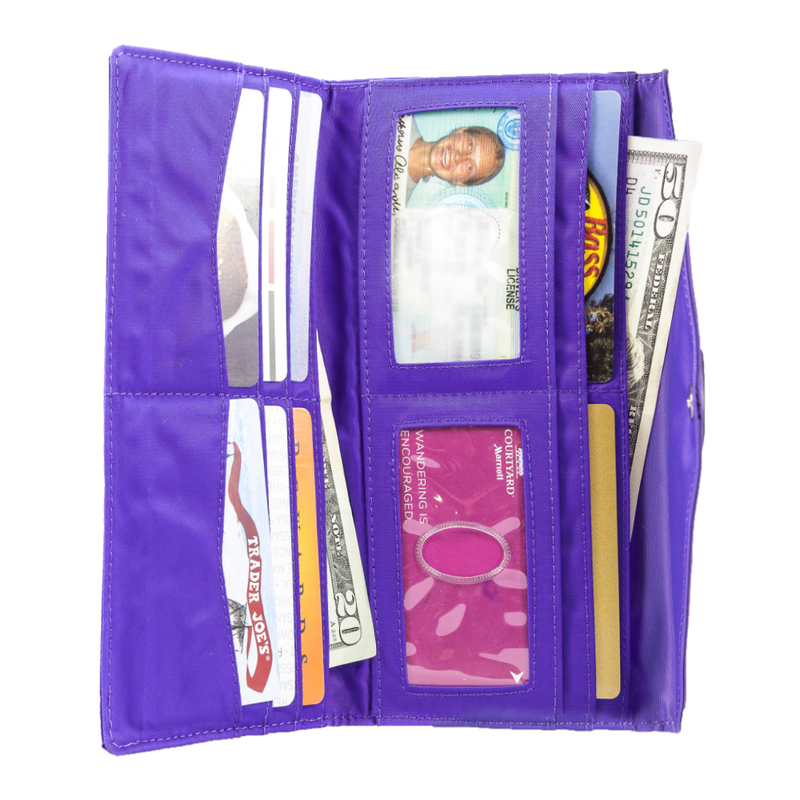 Our best-selling Slimvelope is now also available with RFID blocking material to help prevent data thieves from getting your information. There are 3 long sections for cash, receipts, etc. 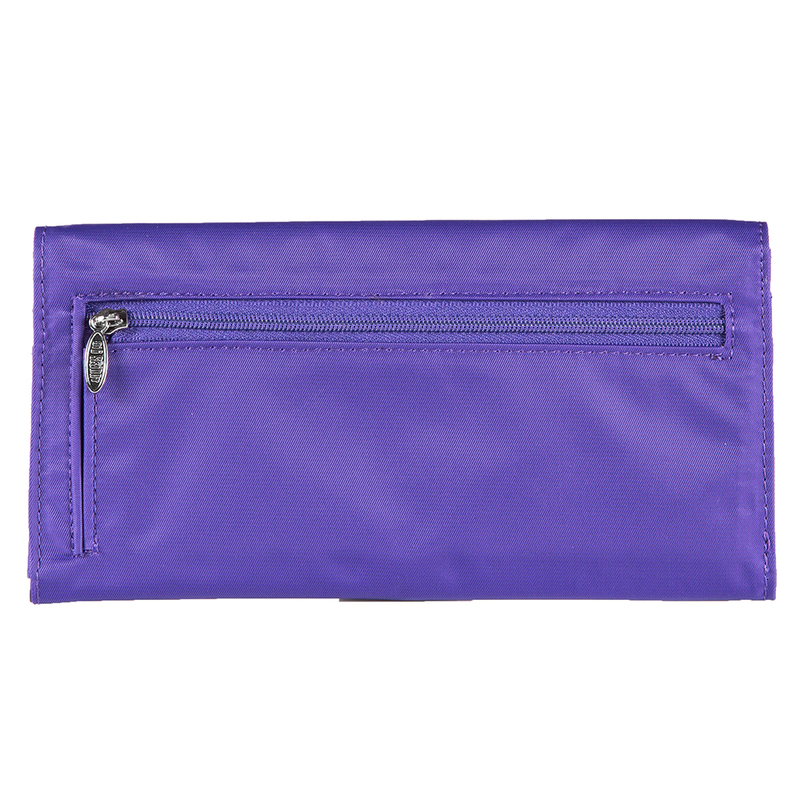 Pockets and billfold are lined with a non-slip interior to prevent your goods from succumbing to gravity. 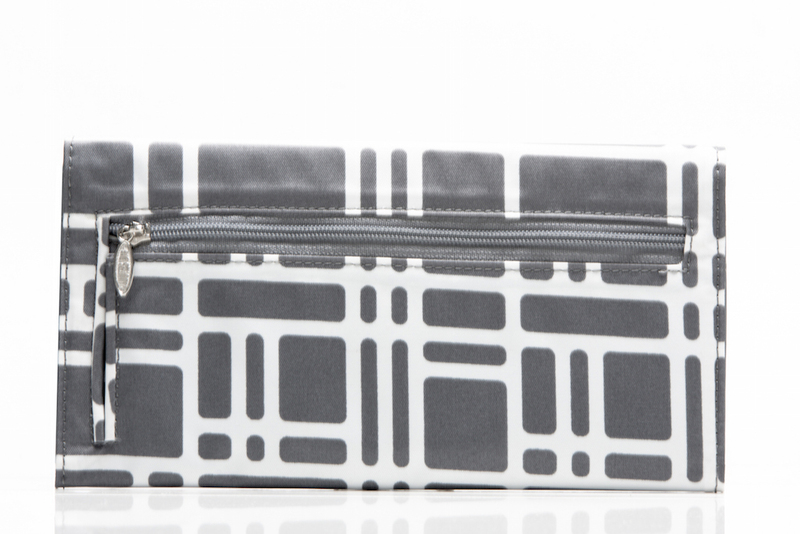 Our clever divide-and-conquor design strategy keeps your items organized in a flat plane, instead of stacked on top of each other. Stays flat no matter what you add to it, even when the large coin section on the reverse is full! 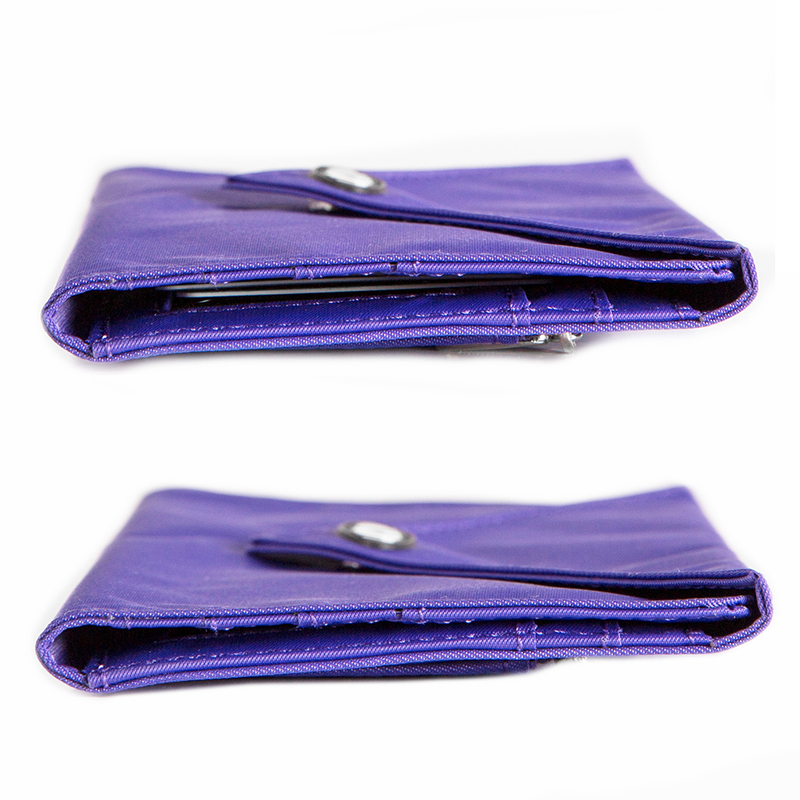 Neat little magnetic snap closure is strong enough to keep your wallet closed even when it's jostled around in your bag. 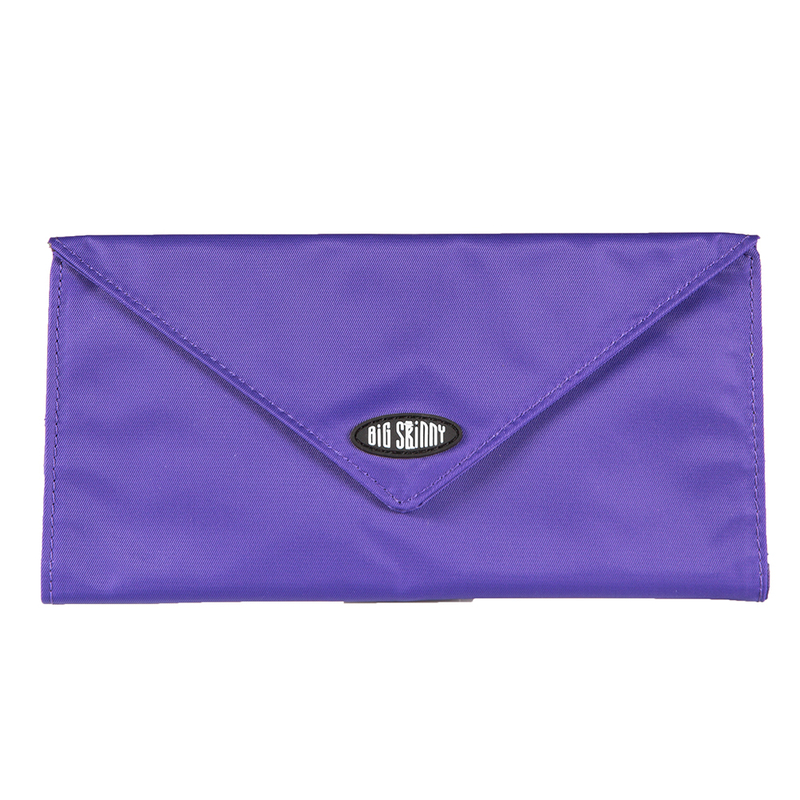 Crafted from machine-washable nylon microfiber. Wallet totally lives up to its billing. It is everything I wanted, and perfect. 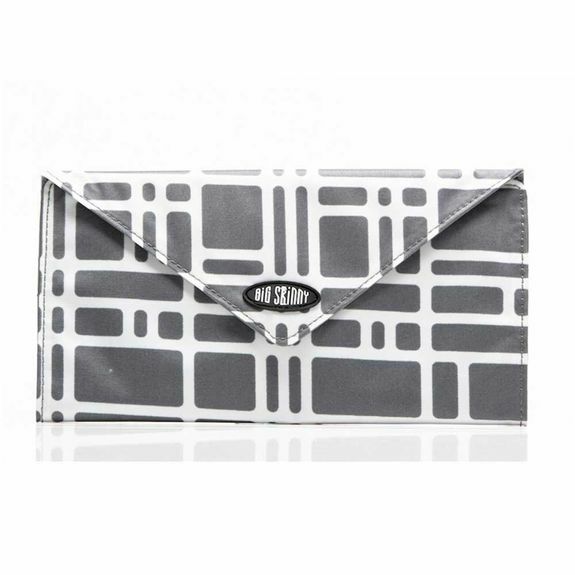 I love the design, and the slim, goes-into-any-purse, backpack, or pocket design. Highly recommend! 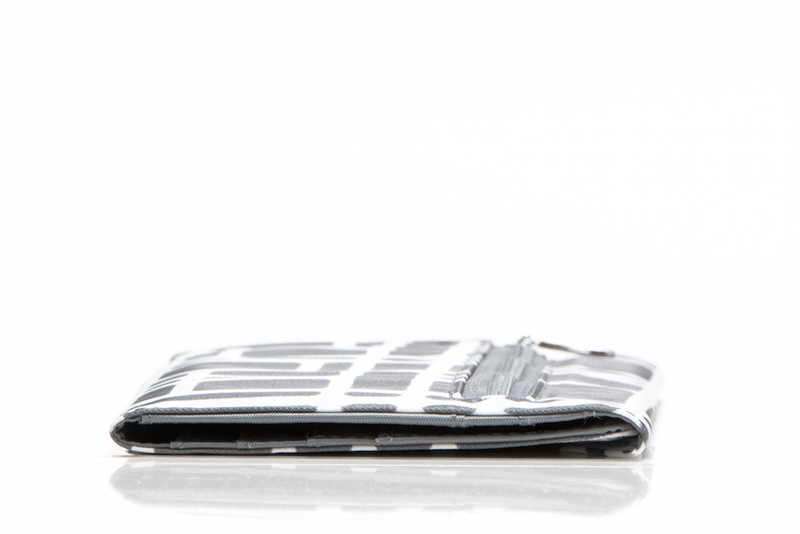 I have always shied away from the long wallet style thinking it was too clumsy, but I love the Slimvelope model. 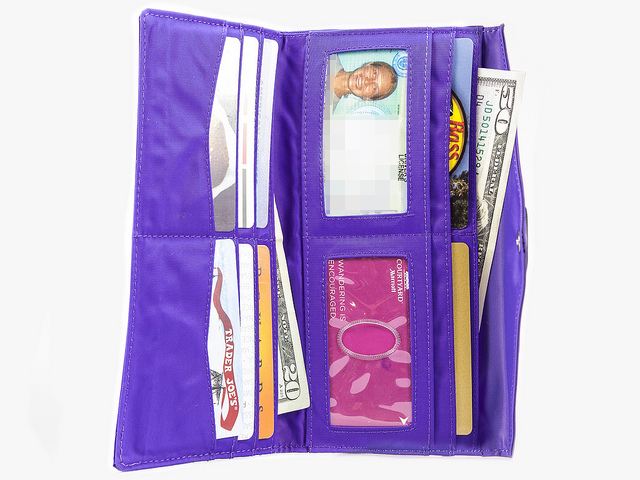 It fits everything I had in my clunky "smaller" wallet and fits into my purse so easily taking up quite a bit less room. I highly recommend it! This is the third product I've purchased from your line and have enjoy all of them. I have recommended your products to friends and family. Please continue to offer new styles and colours. This is my wife's first Big Skinny product (got it for her as a Christmas gift) and she loves it! She still can't believe how slim it is and how much easier it fits into her purse. I also appreciate the RFID feature. I also purchased a men's RFID wallet as a spare and don't ever see myself going back to a traditional thick, bulky wallet. Lives Up To All Hype! It's refreshing for a product to actually do what it claims! 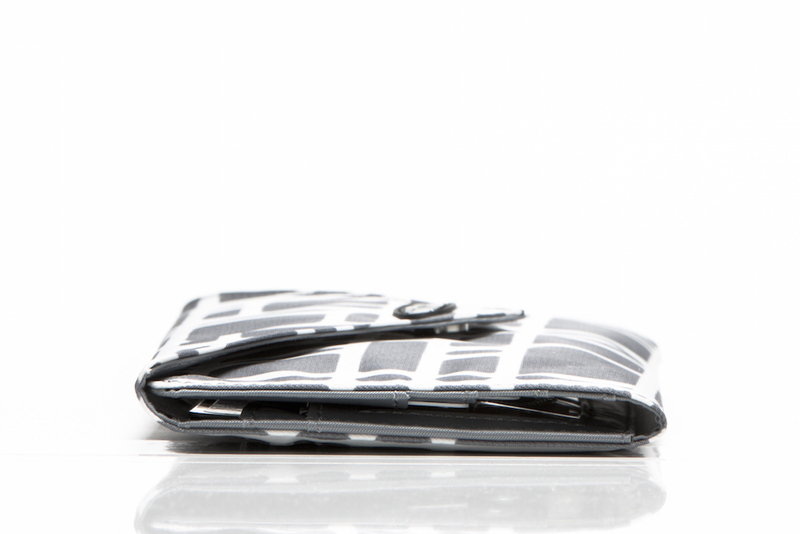 This is a fantastic wallet; slim, attractive, great function and best of all- lightweight! I really like my Big Skinny. It�€™s everything it claims to be and the pictures on the website are very accurate. 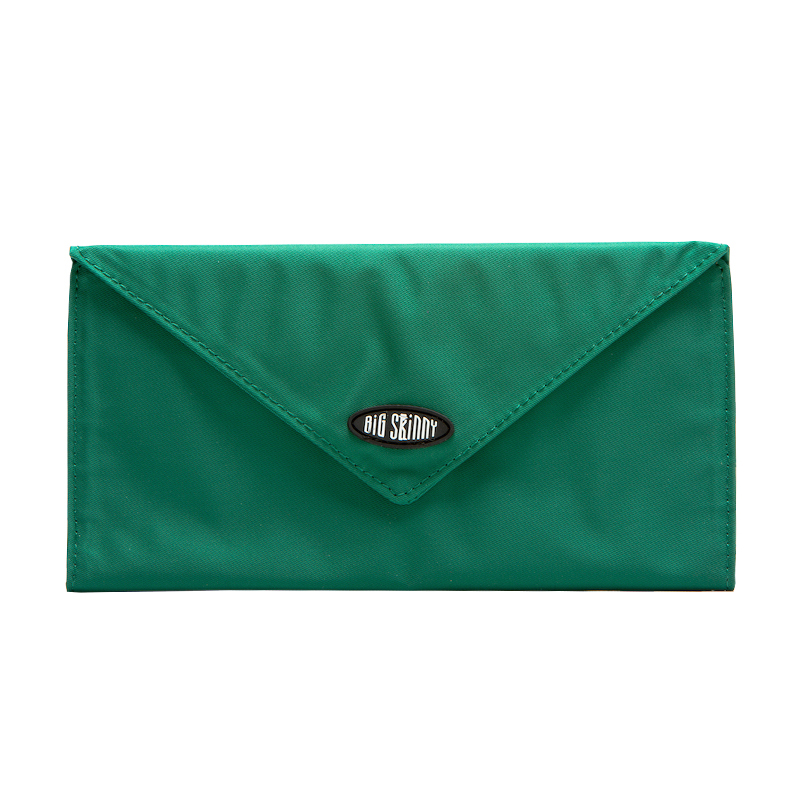 I love the color I chose and it�€™s amazing how it can hold my checkbook, credit card, and a jumble of misc. cards I keep. There is space for however many dollar bills I want, change, and space for some coupons. It�€™s �€œflat as a pancake�€ and easily opens and closes. I just purchased my second one! I originally bought my first one at the NY State Fair a few years ago when I was visiting family and my Aunt told me about them. I was absolutely amazed at how much I stuffed in it and it was still SKINNY! I really loaded it up too. Its mind blowing! I wanted a different color so I ordered a new one and it�€™s just as amazing as the first. I am a customer for life! ProsHow much you can stuff in there and it?s still skinny! Durable! 2 years and no problems!